The financial mayhem of 2007-2009 continues to have long lasting and devastating effects on the economy, and narrow banking is increasingly being mooted as a solution. In the first article of our series providing expert insight and commentary on the issues facing the EU economics arena, Hugo Rodríguez Mendizábal (IAE-CSIC and Barcelona GSE), examines the arguments for and against this controversial practice. According to data from Eurostat, by 2016, 10 of the 28 countries forming the European Union still had a level of aggregate GDP at constant prices below their peaks in 2007-2008. Of the 18 remaining countries, nine took more than five years to recover and 23 countries still had larger unemployment rates than in 2007-2008. These 23 countries represent 60 percent of the population of the Union. This situation continues to have a huge impact on the economy. Our current financial system is being called into question and, as a result, narrow banking is being increasingly proposed as the remedy to avoid future crises. Some countries have even taken this wave of financial reform to the legislative arena. Switzerland is organizing a referendum to vote on the prohibition of money creation by private banks while the parliaments of Iceland and The Netherlands are currently seeking opinions to make recommendations for reforms of their monetary systems along similar directions. Narrow banking is a term that includes many different schemes. But all these proposals share at least one factor: the obligation for depository institutions to hold 100 percent of their deposits in reserves. Regrettably, the economics profession has not reached yet a consensus about the likely effects of imposing a 100 percent reserve requirement. In fact, positions seem completely confronted. On the one hand, narrow banking advocates maintain that a fully backed banking system is a necessary condition to avoid bank runs and to ensure financial stability. On the other hand, narrow banking detractors contend this measure will lead to unbearable efficiency losses as forcing banks to maintain deposits in the form of idle reserves will prevent them from funding loans with the corresponding reduction in the financing of productive investment. Interestingly, both sides of the discussion seem to base their analysis and conclusions on the same banking business model. In this view of the banking industry, depository institutions are seen as accepting deposits on the liability side of their balance sheet in order to channel these funds to borrowers who, in turn, use these loans to finance their expenditure decisions. In this banking model, the amount of intermediation banks can perform is consequently constrained by the total assets depositors have accumulated so far. Importantly, within this view, liquid but unproductive reserves are competing with productive but illiquid loans on the asset side of bank’s balance sheets. Thus, a corollary of narrow banking results from the analysis of both proponents and detractors of the proposal, namely, that fully backed deposits leads to an automatic separation of financial institutions: one class being depository institutions, fully liquid and not able to provide loans; the other investment banks, able to lend but prone to instability. For the reasons exposed above, proponents of narrow banking see this separation as a good thing, while detractors disagree. Despite its widespread use, this banking model seems at odds with several features of modern monetary systems. This is crucial: once these features are incorporated into our representation of the banking industry, the conclusions of both proponents and detractors of narrow banking no longer hold. The most prominent among these conclusions that do not stand the scrutiny from modern banking is the idea that reserves compete with loans in the asset side of bank’s balance sheets. To understand why in reality this is not the case, one has to abandon the view that banks channel existing deposits into loans. Instead, deposits are themselves created whenever a bank provides a loan. If you have ever asked for a loan you would have witnessed how the moment your application was approved by the bank, those funds became immediately available in your current account. Like that. Out of thin air. Of course, the reason you asked for a loan in the first place was not to stare at the deposits the loan created but because you wanted to make a purchase and lacked the funds. Thus, the purchase associated to the loan petition implies that those deposits the loan creates are to be transferred to someone else’s account. When the initiator and the recipient of the payment are clients of different banks, the purchase then involves the transfer of an asset. Banks settle these transfer orders by means of reserves which are current accounts they have in the central bank. Generally speaking, these bank’s deposits in the central bank are created the same way banks create deposits for their clients: by means of loans. Banks demand these reserves for two purposes. First, as explained here, to settle payment orders among themselves. Second, to fulfill reserve requirements by which central banks make them hold an average reserve level equal to a proportion of their client’s deposits. This description of a modern banking system highlights several ideas. First, deposits are not a constraint but an outcome of loan provision. Once deposits are initially created from a loan, they start circulating in the economy as agents make payments among themselves and will keep circulating as long as the loan that originated them does not mature. So, if you could trace back the life of a deposit someone has recently transferred to you, invariably it was born with a loan somewhere in the past. Second, as mentioned above, there is no sense in which reserves are competing with loans on the asset side of the bank’s balance sheets. Instead, reserve demand is the consequence of deposit creation and, therefore, of providing loans. Reserves and deposits (or the loans that create these deposits) are two layers of liquidity over imposed to each other and used by different agents. In principle, a bank could go on providing loans,creating the corresponding deposits and demanding whatever level of reserves deemed necessary without the reserve demand curtailing loan provision directly. Thus, as a third conclusion, narrow banking in modern monetary systems does not necessarily call for a separation of financial institutions. Finally, because reserves should be borrowed from a central bank at a price, higher reserve requirements may indirectly affect loan and deposit creation as they influence the costs to run the main business of banks – namely, loan provision and payment services. These costs can be seen as imposing a tax on the bank business model and should affect the loan-deposit rate spread, which in turn could potentially introduce inefficiencies in the intermediation done by banks. However, these costs could be driven to zero if, as the Eurosystem does, required reserves are remunerated at the same rate as reserves are loaned out in the first place. In such a case, required reserves should not have any influence on liquidity provision by banks through this cost channel. Although central banks could reduce to zero the implicit tax associated with reserve requirements by remunerating required reserves, there is a channel by which these requirements can affect loan provision by depository institutions. As a whole, the banking system needs collateral to borrow reserves from the central bank. Imposing a 100 percent reserve requirement would call for the banking system to maintain eligible assets in an amount at least equal to their loan and deposit production. Because the overall supply of assets accepted as collateral is exogenous to the banking system, current collateral regulations could effectively constrain the implementation of narrow banking. The obvious way out from this situation would be to reform these collateral regulations as it has been done in the Eurosystem during the crisis. One possibility is to secure bank loans after checking on compliance with some minimum standards and to use these ABS as collateral for the central bank’s refinancing operations. A final caveat of remunerating required reserves could be the elimination of one source of revenues for central banks. However, the fact that many central banks function nowadays without reserve requirements, and, therefore, without income of this sort, suggests that this does not seem a major concern for their operations. In summary, provided that collateral constraints could be overcome, and as long as required reserves are remunerated at the same rate central banks charge for providing them, narrow banking could be implemented without affecting intermediation by depository institutions or the business model these institutions use to finance real economic activity. Hugo Rodríguez Mendizábal is a tenured scientist at the Institute for Economic Analysis (IAE-CSIC). Prior to that, he was an assistant professor at the Universitat Autònoma de Barcelona. 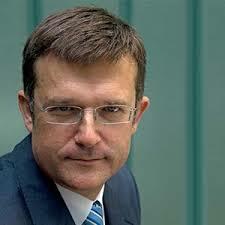 He is the director of the Barcelona GSE Master Program in Macroeconomic Policy and Financial Markets. Professor Rodríguez’s main research area is monetary economics. In particular he has worked on the monetary transmission mechanism from two perspectives. On the one hand part of his work deals with understanding how changes in the interest rate affect economic activity. On the other hand he has also analyzed how the way monetary policy is implemented by central banks may influence the behavior of short term interest rates. Another research area is international economics. He has worked on the analysis of exchange rate target zones and on evaluating the gains from monetary unions.